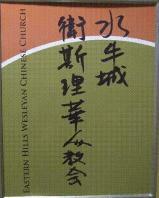 Welcome to Eastern Hills Wesleyan Chinese Church, EHWCC! serving at Buffalo & Niagara regions of western New York. We would love to make friends with you ! Let's experience and enjoy God’s love -see you this week!